Dragon Age: Inquisition Varric Statue | Nerd Much? This is certainly the older and more jaded version of Varric. Gaming Heads has announced yet another statue to add to their Dragon Age: Inquisition line. Now Varric himself can stand between the beautiful Morrigan and mighty Iron Bull. 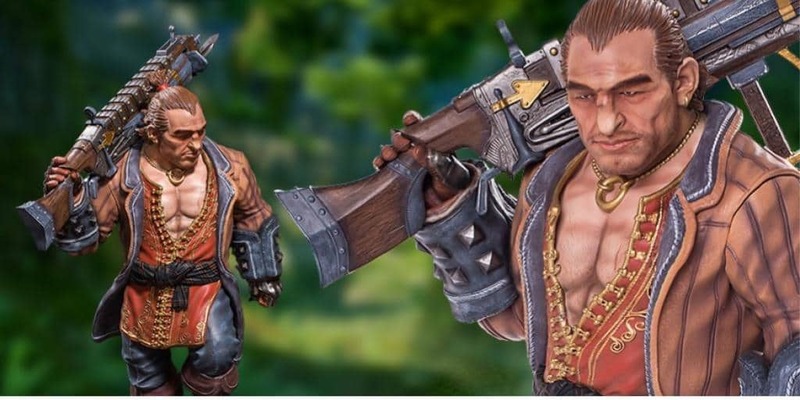 Varric stands at 17 inches and you can pre-order the statue now for $399.99 USD. Gaming Heads boosts that this statue is completely accurate to the in-game character, just a 1/4 of the lifesize scale. There are two editions of Varric available, the regular edition and the exclusive edition. Both are the same price but the difference is in the pose. The regular edition shows Varric smiling grimly and with Bianca over his shoulder. The exclusive edition is adjustable and includes an alternate pose and head. The other pose has Varric in the midst of battle, aiming an upgraded Bianca and with an expression of grim concentration. Both possess incredible detail, to the point of being almost uncanny. This is certainly the older and more jaded version of Varric seen in Inquisition. Depending on what decision you make in the game, seeing Varric might bring back some awful memories of bad choices. Varric isn’t quite the young wit that he was in Dragon Age 2, even before that particular decision. Honestly, seeing Varric like this just makes me want to play DA2 again so I can interact with a much less jaded Varric who isn’t mourning his best friend. Uncanny enough, it seems, as each piece is cast in polystone resin and hand-painted. There will only be 750 pieces of the regular edition available worldwide, and 350 of the exclusive edition. Both editions will come in a full-colour box and the edition’s number written on the bottom of the base. They will also come with a validation card for authenticities sake. Both statues will be delivered sometime in the second financial quarter of 2018 if you pre-order them now.